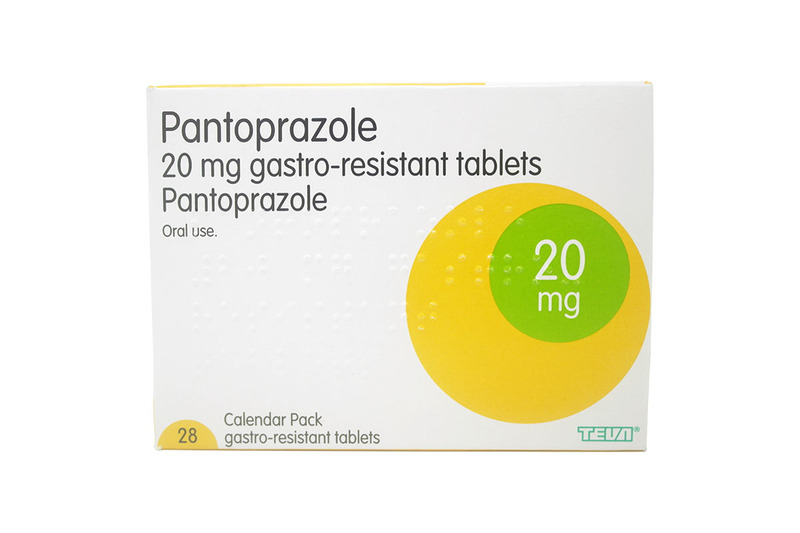 Pantoprazole is used to treat conditions and diseases associated with too much acid in the stomach. These include stomach and duodenal ulcers, Zollinger-Ellison-Syndrome and Helicobacter pylori. Are you currently taking any medication (including OTC, prescription, or recreational drugs)? What is Pantoprazole and what does it do? Pantoprazole is classed as a selective proton pump inhibitor, and works by reducing the amount of acid produced by the stomach. Pantoprazole can be prescribed to treat heartburn, acid reflux and other conditions related to the acid production in the stomach. It can also be prescribed to prevent stomach ulcers when there is an increased risk of ulcers, for example when NSAIDs are taken. Is Pantoprazole suitable for my condition? Are allergic to Pantoprazole or any of the ingredients listed in the patient information leaflet. Are allergic to any other medicines containing proton pump inhibitors. Are taking a medicine containing atazanavir, used for the treatment of HIV-infection. You should follow the doctor’s instructions on how to take this medicine. The doses outlined below is for your reference only. The capsules should be taken 1 hour before a meal. Swallow the capsules whole with a drink of water. Take 20mg per day. The doctor will instruct you on how long to take the capsules for. Take 20mg per day. If the symptoms return, the doctor may instruct you to double the dose and take 40mg per day. Once the symptoms subside, the dose can be reduced back to 20mg per day. For the prevention of duodenal and stomach ulcers in patients who regularly take NSAIDs. The recommended dose is 20mg per day. Please note, if you suffer from severe liver problems, do not exceed 20mg per day. If you are unsure about the dose or how to take this medicine, consult your GP before use. Does Pantoprazole cause any side effects? All medicines can cause side effects and Pantoprazole is no exception. However, not everyone gets them. Sudden wheezing, swelling of your lips, tongue and throat or body, skin rash, fainting or difficulties swallowing. While filling in the medical questionnaire, remember to include any other medicines you are taking. Pantoprazole can affect how other medicines work, so it is important that you tell our doctors about all medicine you take. Don’t forget to also include over the counter medication and supplements. How do I buy Pantoprazole online? To legally and safely buy Pantoprazole online you need a prescription from a GMC (General Medical Council) registered doctor. Our online doctor service allows you to request a prescription through a medical questionnaire. Take ONE tablet daily, or as directed by your doctor.